Dorothy Thomas Morgan (Dottie), long-time resident of Auburn, Alabama passed away on Friday, March 29, 2019 in Niceville, Florida at the age of 83. Dottie was born on January 22, 1936, in Birmingham, Alabama and lived most of her childhood in Washington, D.C. After graduating from McKinley Technical High School, she returned to Alabama to attend Alabama Polytechnic Institute (Auburn University), her father’s alma mater. While taking a physiology course, Dottie met H.C. Morgan, a young veterinarian attending graduate school and teaching undergraduate classes. H.C. became the love of Dottie’s life and they married just prior to her senior year at Auburn. In 1957, Dottie received a Bachelor of Science degree in Home Economics, graduating with highest honors. After college, the Morgans moved to Murfreesboro, Tennessee where H.C. practiced veterinary medicine and Dottie worked in the veterinary hospital. In 1960 an opportunity arose for H.C. to join the faculty at the University of Georgia College of Veterinary Medicine and the family relocated to Athens, Georgia. In 1970, the Morgan family returned to Auburn, Alabama, a place they loved and would always consider home. Throughout their marriage, Dottie enthusiastically supported H.C.’s professional endeavors and organizations. Additionally, Dottie shared H.C.’s commitment to service and community. She was by his side throughout his tenure as a Rotary District Governor and the Auburn Rotary Club recognized her as a Paul Harris Fellow. 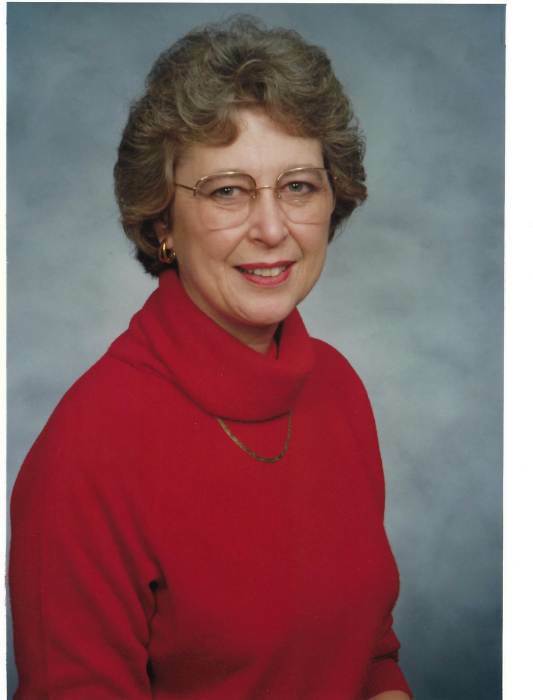 In Auburn, Dottie was active in various religious and civic organizations. She held a variety of volunteer positions at Auburn United Methodist Church including Coordinator of the Congregational Care Outreach’s Check-In Methodist program. Dottie was also an active member of P.E.O. (Philanthropic Education Organization) for many years. She strongly embraced P.E.O.’s mission and commitment to helping women pursue higher education. Dottie will be remembered for her graciousness, warmth, creativity, devotion to her family and friends, and her fierce love of the Auburn Tigers. Dottie was preceded in death by her husband of 42 years, Horace C. Morgan, Jr. (H.C.) and parents, Leonard William Thomas, Sr. and Vida Mae Savage Thomas. She is survived by her two daughters, Diane Morgan Cook (John) and Laura Morgan Anderson (Bryan); four grandchildren, Robert Webster Anderson, William Bryan Anderson, Caroline Morgan Cook and Caitlin Mallory Cook; sister, Sarah Ellen Thomas Sandel (Jeff) and brother, Leonard William Thomas, Jr. The family would like to thank the wonderful staff at Bee Hive Homes of Niceville as well as caregivers from Regency Hospice of Niceville, Florida. A Memorial Service will be held in Founder’s Chapel at Auburn United Methodist Church on Friday, April 5, 2019 at 11:00 a.m. The family will receive friends immediately following the Memorial Service in Hamill Court at the church. Jeffcoat-Trant Funeral Home & Crematory will be directing.